Hmmm, unexpectedly? Some folks might not be so surprised by this finding. For some, it is further evidence to support what has been proposed based on ancient human observations. Available online: 29 Nov 2018 The publisher regrets that this article has been temporarily removed. A replacement will appear as soon as possible in which the reason for the removal of the article will be specified, or the article will be reinstated." Lol. 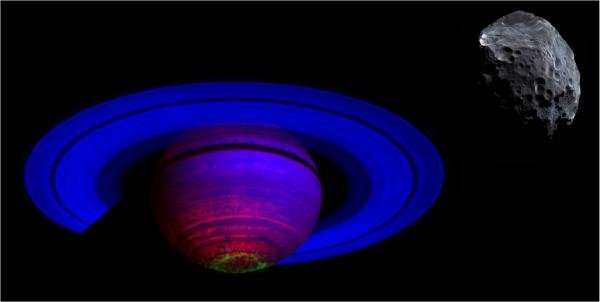 The EU impossible lunacy about Earth orbiting Saturn! Dear me. Those people really are clueless. This is approximately the 10th article which states that the star or planet formation theories have to be rewritten, but it seems that nobody knows how to rewrite it. Of course. This is precisely why so many inquisitive people devote their careers to science. Yes? There are probably many ways planets are formed. Why should anyone think there is only ONE way? Yes, and it is funny how the researchers admit that based on these results, Phoebe must have been formed in the outer solar system near Pluto, yet they don't go that far to admit Saturn must have been formed at the same orbital distance as Earth. Double standard?